Sun., 6 Oct. - Sun., 13 Oct. Mon., 16 Sep. - Fri., 20 Sep. Mon., 5 Aug. - Mon., 12 Aug. 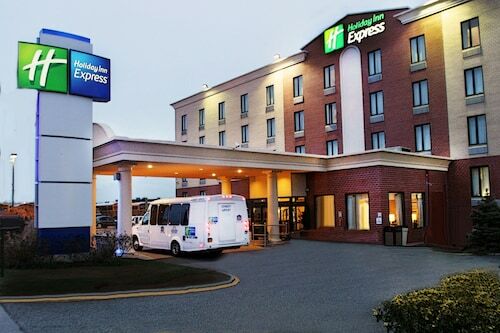 The Radisson Hotel is adjacent to JFK Airport, and offers complimentary shuttle service to and from terminals every 30 minutes, 24 hours daily; midtown Manhattan is 12 miles away. 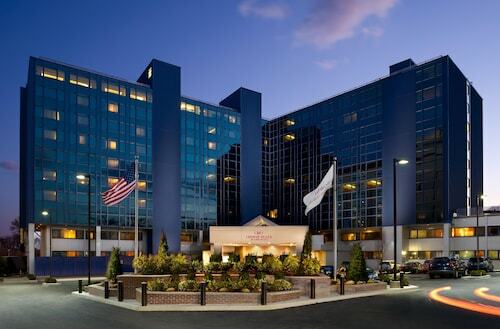 Located only ¼ mile from JFK International Airport, this hotel is in the same area as St. John's University and Belmont Park. 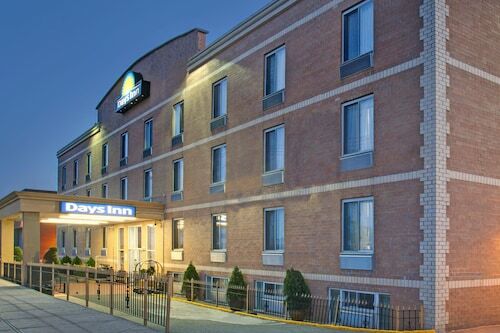 This Jamaica, New York hotel is a few blocks from JFK Airport and within easy reach of Manhattan via public transport. 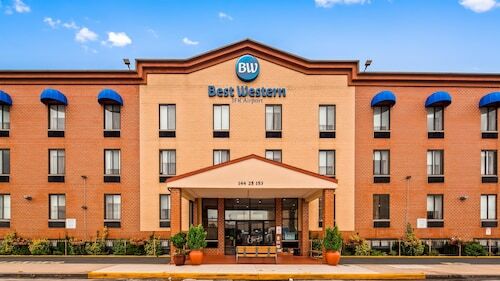 Located in Queens, this hotel is 2.6 mi (4.1 km) from Resorts World Casino and within 9 mi (15 km) of St. John's University and Flushing Meadows-Corona Park. Arthur Ashe Stadium and Citi Field are also within 9 mi (15 km). Located less than 3 miles from JFK Airport, this Jamaica, New York property is 5 miles from Brooklyn and 13 miles from Manhattan. This 12-story New York hotel in Queens is a quarter-mile from JFK Airport and approximately 20 miles from Midtown Manhattan. This Jamaica, New York hotel is a quarter-mile from JFK Airport, and 15 miles from Times Square in Manhattan. This vacation home is located in Jamaica (Queens), close to Green Acres Mall. Area attractions also include Resorts World Casino and St. John's University.